Quietly nestled next to the Terminus Hotel and Fowlers flowers at the ever-busy Clifton Hill interchange, is Mixed Business – a country-style, inner suburban café keeping more than just the locals happy. 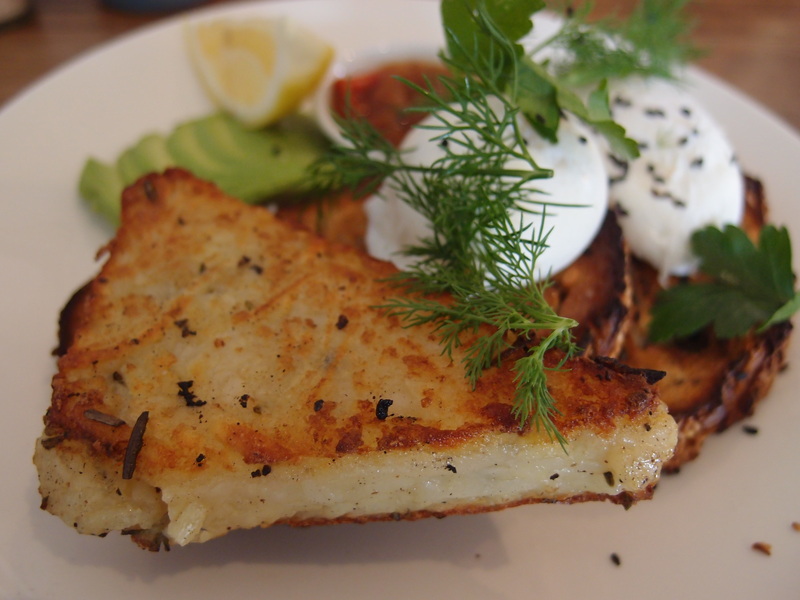 Spoilt for choice in Fitzroy North and Northcote for delectable café treats, the café keeps a humble origin and a simple but delicate focus on the food. 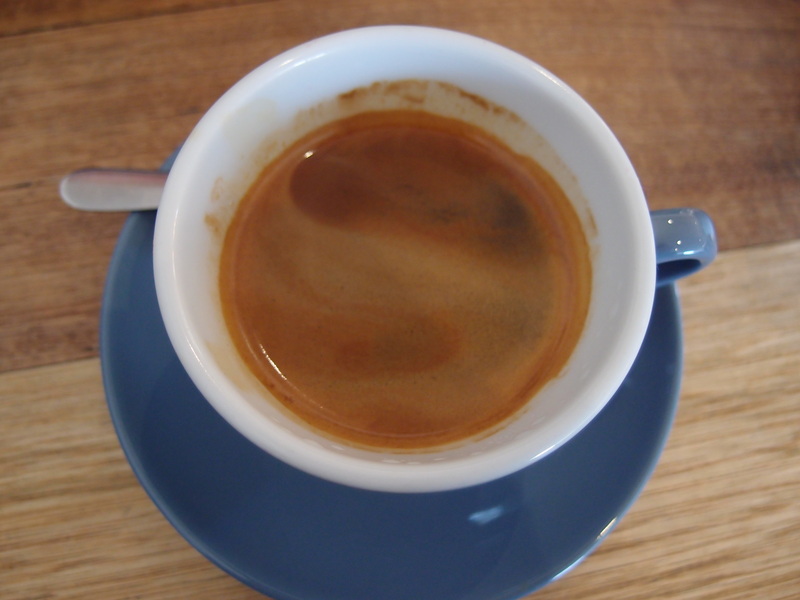 With a severe organic beat on their drum – played out across the décor and menu – the barista staff serves up organic partners in crime, Seven Seeds coffee with gusto – the lightly roasted yet full body blends, roasted locally in Carlton can be smelt wafting down the street. The café is neatly cluttered with old school kitchen equipment (it was previously an antique furniture shop) from the French sewing factory table with the indents and chunks missing as the main counter, surrounded by old milk bottles and farm produce baskets. The perfect mix of old style wooden panelling with clean white modern lines creates a comforting and clean space to dine, overlooking the interchange. With a cosy courtyard for the warmer days along with street side dining out the front, whether you’re popping in for a quick coffee or lazing the afternoon away, Mixed Business means business. The kitchen staff are a skilled bunch offering a daily omelette, special sandwiches and soups plus a mouth watering range of sweets in addition to their regular all day breakfast and lunch menu. With these one off items in mind, it is hard to steer away from the spring style apple and cranberry muesli and the coddled egg and soldiers (served with gruyere). The poached eggs are served many ways, but a clear favourite is served with a side of avocado, a generous rosemary potato roesti and tomato relish on two slices of Dench bakery multigrain toast.Large but not oversized, the dish is full of bold flavours. Whilst the roesti was a little too salty for my taste the consistency was perfect; finely grated puffs of potato pressed together into a moist fritter – perfectly moist and with a hint of rosemary spread though each bite. Mixed with the rich tomato and onion flavours of the homemade relish, the flavours balanced out nicely between the nutty bread and slow cooked poached eggs – oozing with just enough yoke to soak up with bread. 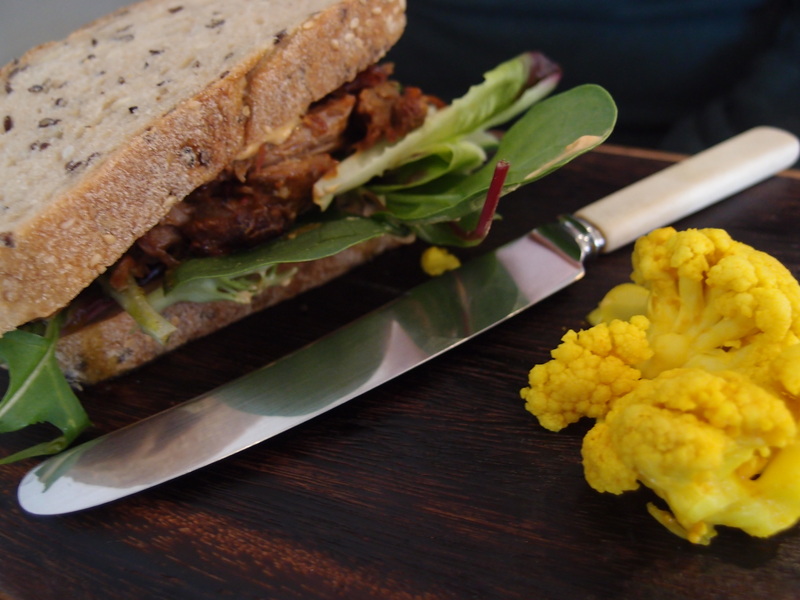 The pulled lamb sandwich served with salad greens a extra large dollop of harissa yoghurt between two slices of Dench bread with a side of pickled cauliflower is a goopey mess of mouthy watering pulled meat that resembles hard work and hours of oven time. The crispy lettuce leaves gives the sandwich a clean fresh balance to the oil dense, smoky shreds of meat and thick and sweet moisture from the yoghurt. Mixed Businesses successfully avoids the ultra hipster pretention that so many cafes in the area flaunt. Instead, it is a pleasant dining experience with a casual vibe, friendly staff and cosy, fresh food to eat.